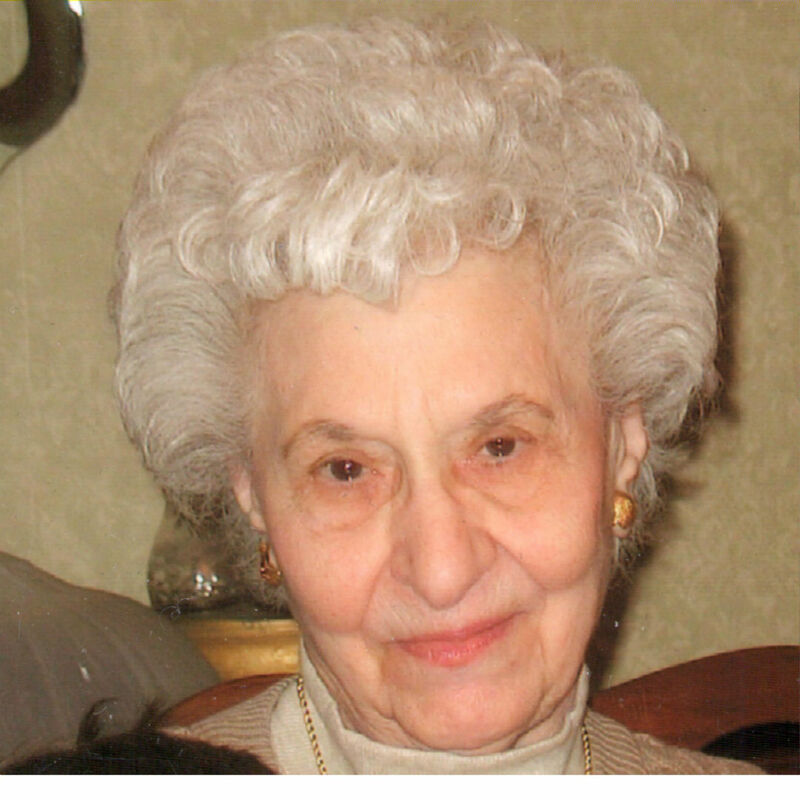 Virginia M. (Ferrucci) Riccardelli, 97, of Hopedale and Milford, passed away, December 8, 2017 at the Lydia Taft House in Uxbridge. She was the wife of the late Pasquale Riccardelli who passed away in 1982. She was born in Milford, daughter of the late Antonio and Louisa (Simone) Ferrucci and lived most of her life in Hopedale and Milford. She was a graduate of the Milford High school class of 1938. Virginia and her husband Pat owned and operated the former Red Shutter Grill in Milford for many years until its closing in 1972. She is survived by her children, Peter Riccardelli and his wife Saundra of Naples FL, Roberta A Bolduc of Milford, Patricia B. and her husband Wayne Staltare of Milford, one brother, Attillio Ferrucci of Milford, one sister Josephine Cappuzziello of Wellesley, three sister-in-law’s, Clara Ferrucci of Hopedale, Lillian Ferrucci of Milford, Georgia Young of Mendon, two grandchildren, Nadine and her husband Thomas Morelli, Vanessa and her husband William Greco, three great-grandchildren, Thomas Morelli, Olivia Morelli and Natalie Morris, many nieces and nephews. She was predeceased by her siblings, Dr. Joseph Ferrucci, Rudolph J. Ferrucci, Anthony P. Ferrucci, James S. Ferrucci, Mary Longo and Rose Trotta. The funeral will be held Wednesday, December 13, 2017 at 9 A.M. from the Consigli-Ruggerio Funeral Home, 46 Water St., Milford, MA. A Mass of Christian will be held at 10 A.M. at the Sacred Heart of Jesus Church 7 East Main St. The burial will follow in the parish cemetery. Calling hours will be Tuesday from 4 to 7 P.M.
Roberta, Vanessa and family, So sorry for the loss of your mother, grandmother. I didn't know Mrs.Riccadelli, but I recognized the name and have so many fond memories of the Red Shutter. Going with my parents as a little girl and then when I was a teenager with my friends. Thank you Mrs. Riccardelli for my memories and may you rest in peace. Patty-Roberta-Peter and family with sympathy for your loss.